Pearson Holland Management Services is a company registered in England. When you contact Pearson Holland Management Services through the Website for any reason Pearson Holland Management Services may require certain contact details from you, including without limitation, your name and email address and in some cases, your postal address, the postal address of your place of work and telephone number. This policy is in relation to these contact details and to any other information, which Pearson Holland Management Services subsequently collects from you ("the Information"). You may not be able to use some of the services offered on the Website without providing the Information. If you provide Pearson Holland Management Services with false Information, Pearson Holland Management Services reserves the right to terminate your access to the Website. Pearson Holland Management Services may use the Information to provide you with communications regarding Pearson Holland Management Services and any business or individuals linked with Pearson Holland Management Services, for example, without limitation to send you a publication or newsletter, email, letter, fax or text promoting Pearson Holland Management Services, health and safety and insurance information. Unless you request otherwise the Information may also be retained and used by Pearson Holland Management Services for marketing any Pearson Holland Management Services services, for sending you any information relating to business and for administering promotional campaigns. If at any time after you have submitted the Information and not ticked the relevant box you no longer wish to receive marketing information as detailed above please contact Pearson Holland Management Services as detailed below. No further action is necessary if you have already indicated to Pearson Holland Management Services that you do not want to receive such information. 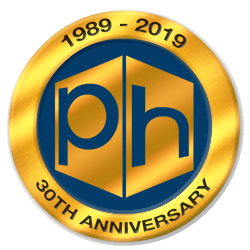 Third parties will host and develop the Website on behalf of Pearson Holland Management Services and will therefore have access to the Information. Such access will however be strictly controlled under a written contract between Pearson Holland Management Services and the relevant third party and the third party will not be authorised to in any way use the Information for any purpose other than carrying out their contractual obligations to Pearson Holland Management Services. For the avoidance of doubt, the third parties will not be authorised to use the Information for any type of marketing for their own purposes. Other than as detailed above, Pearson Holland Management Services will not disclose the Information to any third party for any purpose without your consent unless there is an emergency situation, which requires it, or Pearson Holland Management Services is required to do so by operation of law. Pearson Holland Management Services reserves the right to report any activity on the Website, which Pearson Holland Management Services suspects violates any relevant laws or regulations to the appropriate authority. If Pearson Holland Management Services is requested by such authority for the information Pearson Holland Management Services reserves the right to disclose it to them. Pearson Holland Management Services reserves the right to reveal your identity, even if you wish to remain anonymous, to any third party if required to do so by law. Pearson Holland Management Services aims to keep all Information Pearson Holland Management Services holds about you as accurate and up to date as possible. If you would like to review or change the details you have supplied Pearson Holland Management Services with, please contact Pearson Holland Management Services as set out below. Cookies are small text files that are stored by your browser on your computer’s hard drive allowing websites to recognise one user from another when voting on the Pearson Holland Management Services site. Cookies can be deleted from your hard drive if you want to. Most web browsers automatically accept cookies but your web browser can be altered so as to prevent acceptance. All information will be kept as confidential and as secure as possible . This means that Information can only be exchanged between you, Pearson Holland Management Services and any third party who Pearson Holland Management Services decides to transfer the Information to for the purposes detailed above. Furthermore as required by the Data Protection Act 1998 Pearson Holland Management Services follows strict security procedures in the storage and disclosure of Information, which you have given to Pearson Holland Management Services, to prevent unauthorised access. Pearson Holland Management Services uses industry standard practices to safeguard the confidentiality of the Information . Pearson Holland Management Services treats the Information as an asset that must be protected against loss and unauthorised access. Pearson Holland Management Services employees use many different security techniques to protect the Information from unauthorised access by users inside and outside the company. However, "perfect security" does not exist on the Internet. Under the Data Protection Act 1998 you are entitled on the payment of a fee and following you providing sufficient details, if you so request, to be given from Pearson Holland Management Services a description of all personal data Pearson Holland Management Services hold about you, the purposes for which this is being processed and the recipients to whom this may be disclosed. If you require any further information on this point, please contact Pearson Holland Management Services as detailed below. This Agreement is governed and construed in accordance with English law. You and Pearson Holland Management Services each submit to the non-exclusive jurisdiction of the English courts in relation to disputes arising out of this Agreement.